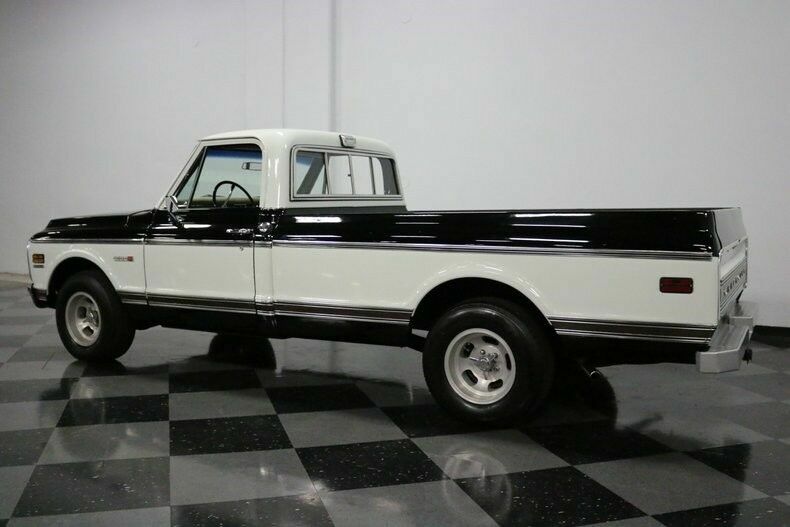 The power to propel this workhorse comes via a 350 cubic inch V8 crate engine. 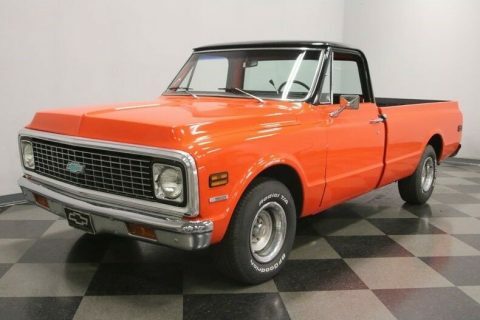 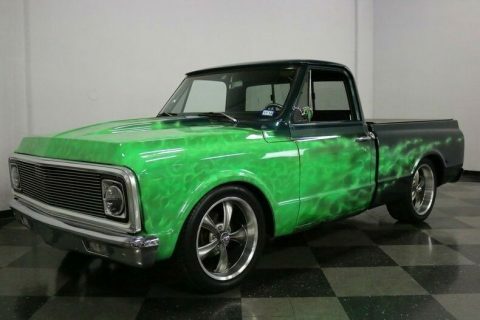 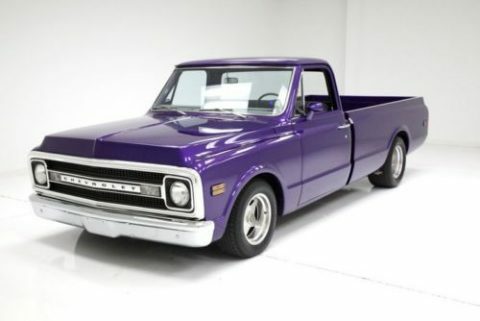 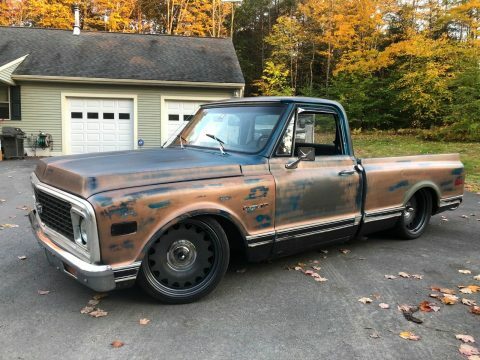 With just 6000 miles under its belt, it’s just entering its prime and carries an Edelbrock 4-barrel carb on top and a pair of long tube headers on its sides to maximize its output as it teams with a 3-speed automatic TH350 transmission to make up a high-functioning, low-effort drivetrain. 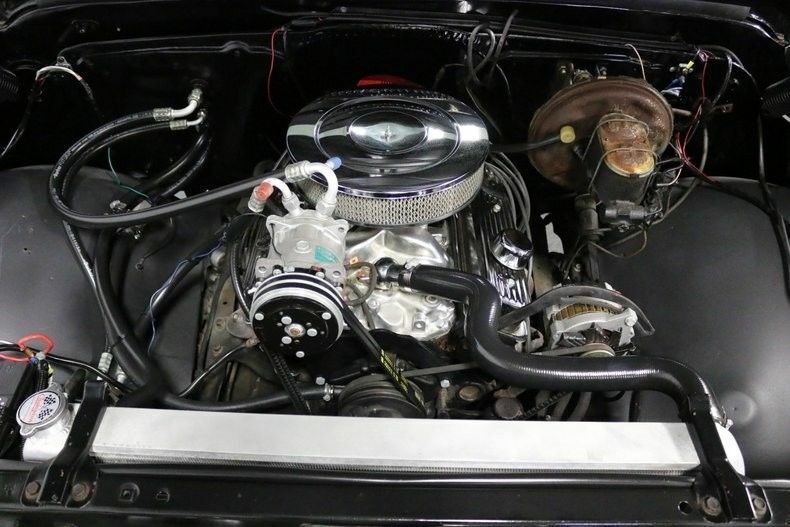 The powerplant sits in a very clean engine compartment surrounded by fresh hoses and belts and neatly routed wiring. 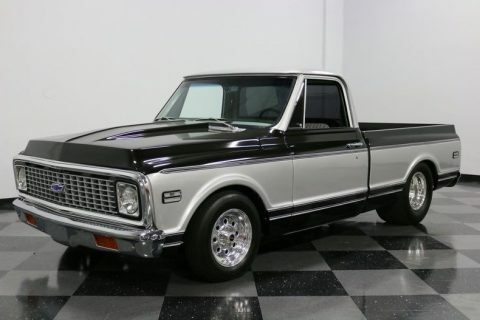 The flat black inner fenders provide a great backdrop for the sharp looking engine components, while a generously proportioned aluminum radiator sits at the front of the bay to keep engine temperatures under control. 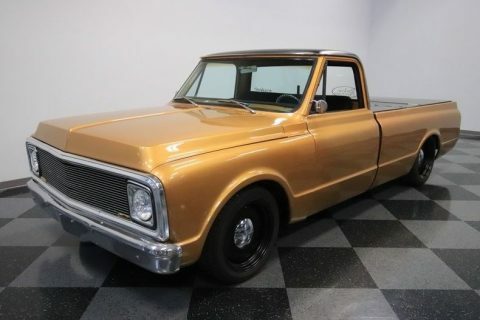 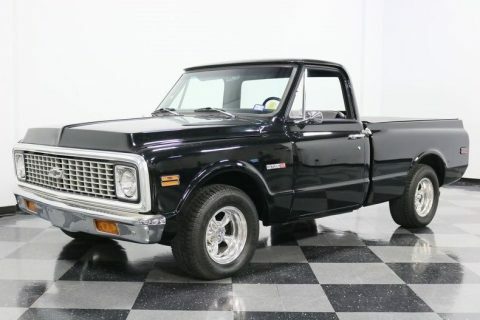 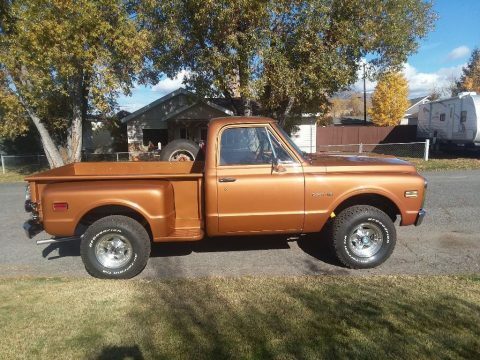 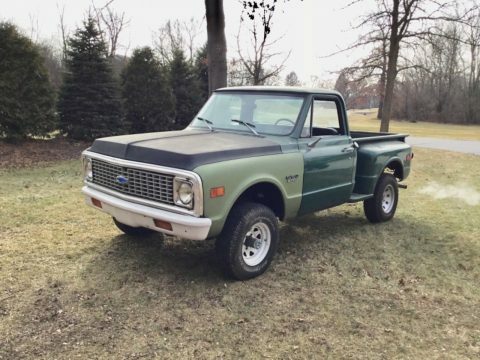 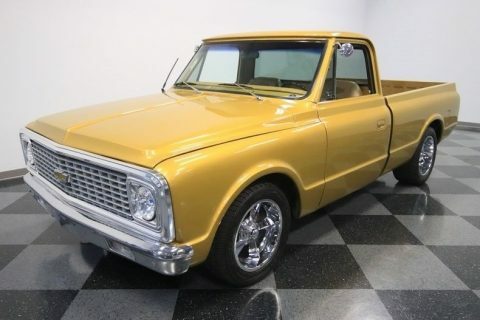 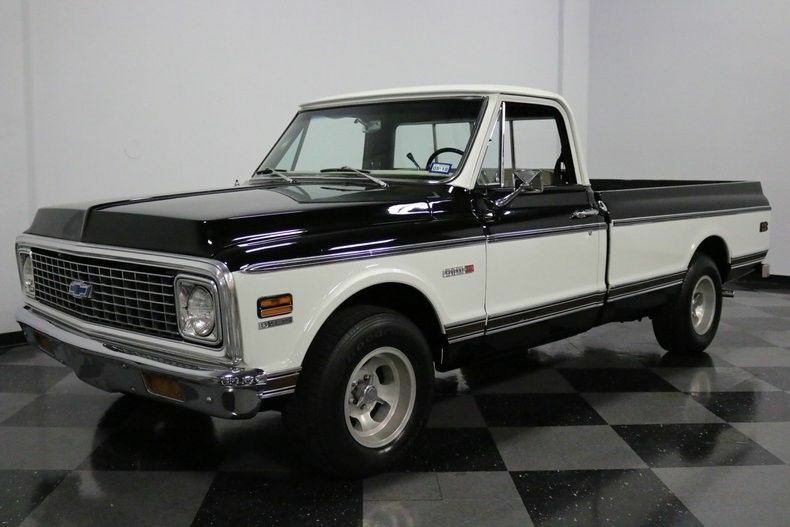 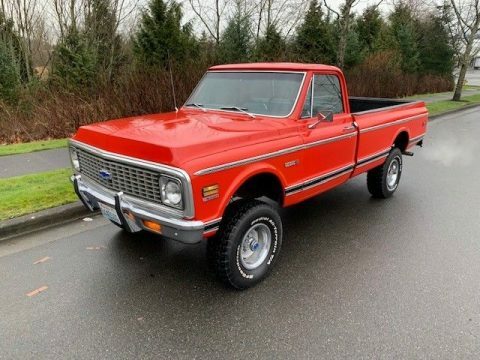 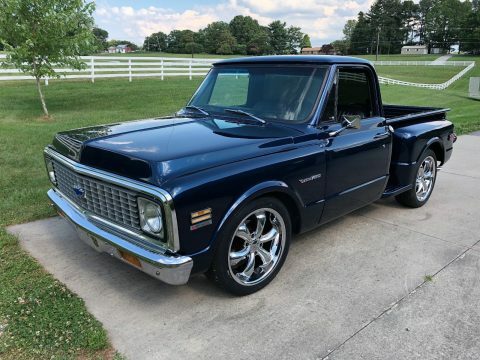 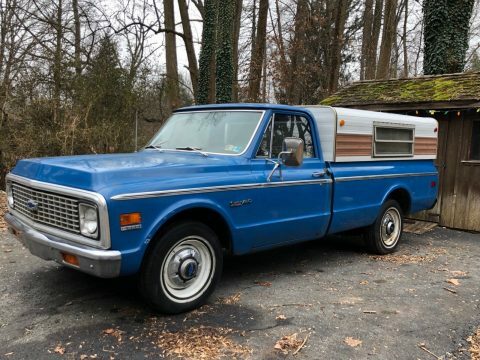 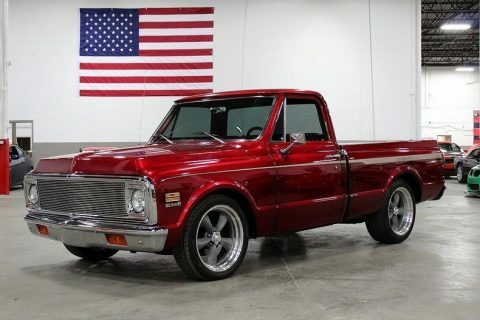 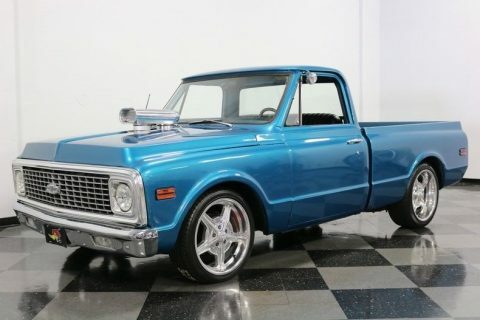 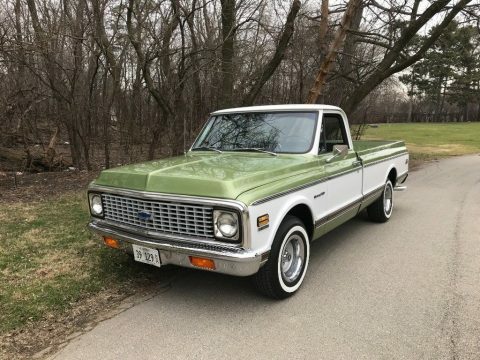 Power steering makes this classic truck easy to navigate, while power brakes at all four corners, with discs up front, provides fade resistant stopping power as it plies its trade on a set of 15″ aluminum wheels outfitted with BF Goodrich T/A radials. 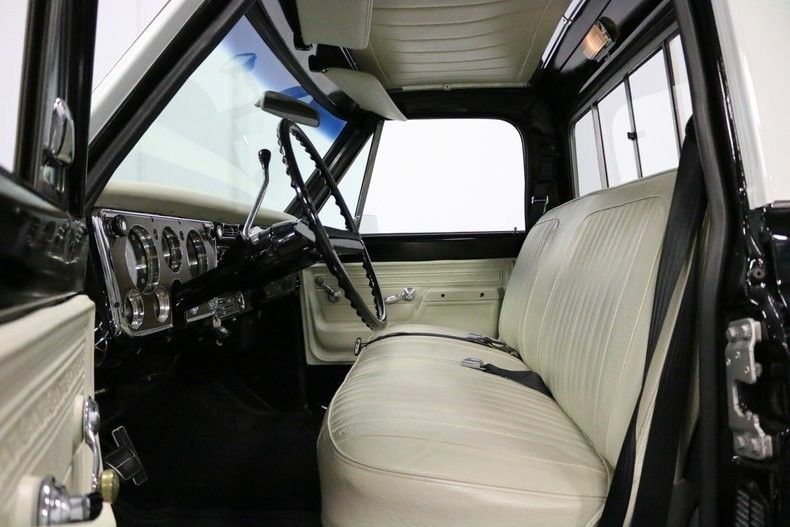 The view from below is reassuring – after more than 45 years on the road, the undercarriage may show some patina, as you’d expect, but its floor pans look solid and its frame rails are straight.